TV & Reality Jobs>Reality TV Jobs>Webseries Pilot Casting Call - Will a Smile Makeover Change Your Life? Could a smile makeover change your life? Have you been struggling with extremely damaged teeth or hate your smile? Do your teeth hold you back from smiling in public or being social? Have you had an accident or trauma that has affected your smile? Has your smile or teeth held you back from achieving your dream goals or pursuing your career? Do you or do you know someone who deserves a smile makeover and is willing to share their story? We are looking for select candidates who need a smile makeover. These candidates will be chosen based on the severity and assessment of their case assessment. They should be willing to be a part our media content, including film and still pictures, for “Bring Back A Smile Foundation” – a non-for-profit charity organisation founded in Australia which provides dental support and treatment to those who experience genuine financial constraints. 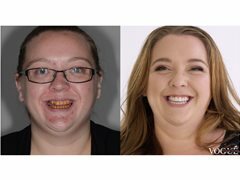 - Your story in 500 words including why does your smile hold you back, how has that affected your life, why do you think you deserve a smile makeover? Whatever your story may be, we would love to hear from you and see if we can help bring back your smile. • Applicants must be 18 years old or over. • Applicants must be comfortable being on camera and sharing your story. • Bring Back A Smile Foundation holds the right to refusal, as not every application/case is suitable or remains within the abilities of our treatment.